oh my, a shirt with flamingos on. how amazing? i think this is the most lovely print i've seen in a long time, and the colour of the blouse is just right - kind of a nudey pink. i wore it with pretty much everything black i own! i wanted the blouse to stand out. i can't believe how close it is to christmas now! i love this time of year, everyone is jollier and the amount of chocolates knocking about always makes me happy. it turns out that my camera might be broken (insert sad-face here), so these were taken with my iphone - not too shabby, but i'm dying to get my camera working again. aw i love the flamingo print! 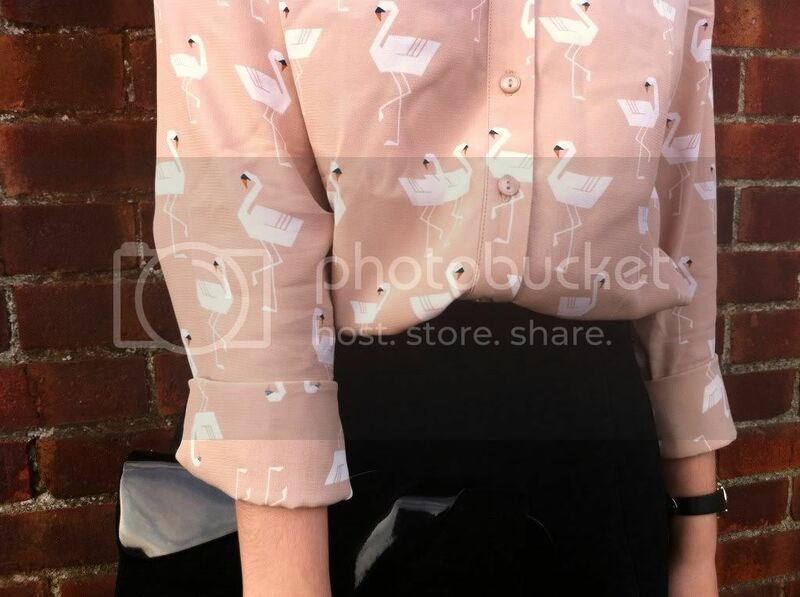 I'm in love with this blouse, the flamingo print, the colour, everything! Might have to treat myself after Christmas!! OOOOh, love the shirt, so cute! SUCH a freaking cute blouse! Cute outfit. Your blouse is really cute! PS I said it before, but congrats on your Modcloth blogger of the moment feature! that shirt is just down right amazing! Oh wow! The print is seriously incredible! <3 <3 <3 I love love love this! *screams* I NEED THAT SHIRT. 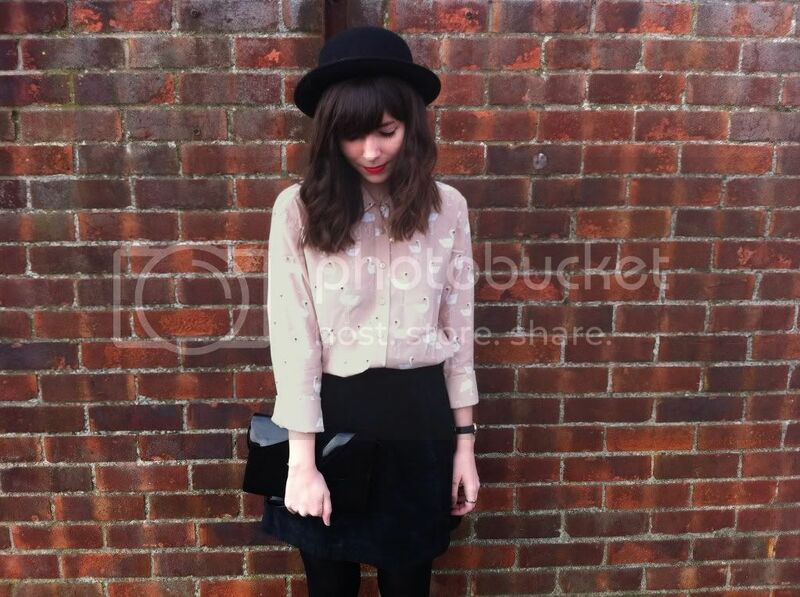 the flamingo blouse is just way too cute! I loveeeeee that shirt! When I'm older and I have my own place, there's no doubt that I'll have those plastic pink flamingos on my lawn! That flamingo top is the coolest thing! I love quirky prints on button-down tops. Not too bad for an iPhone, and flamingos? That has to be the best top I have come across! That really is such a gorgeous blouse, i'm a sucker for a pretty print! I love flamingos! What a beautiful shirt! That shirt is the next best thing! Love it! This is the best shirt! And I didn't even see these were phone photos, the iPhone does have an amazing camera! Oh my word, that hat is perfection. Where did you find it? Love your look it's sooooo cool! Everything looks great! Ah, that shirt is fantastic! I'm in love with the blouse. 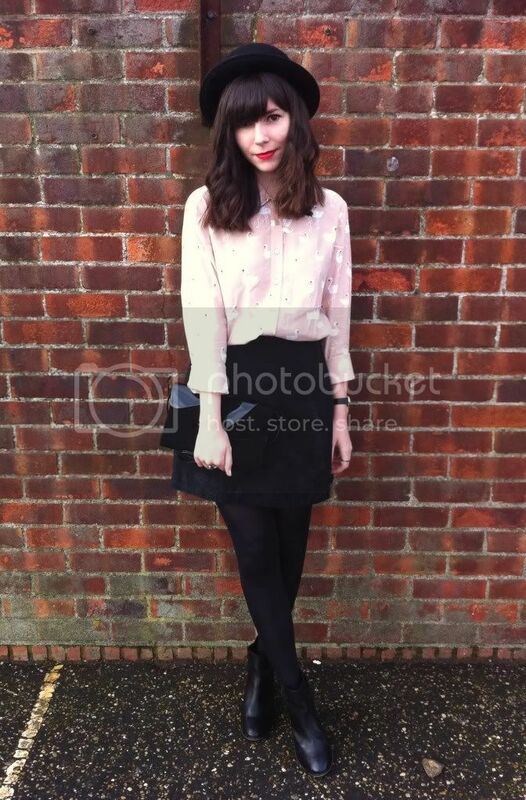 i'm modcloth's blogger of the moment !